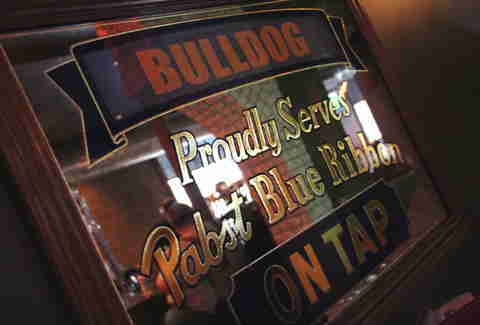 After dipping their toe into the congealed grease pool of Southern food, the Bulldog guys returned to their roots, and reformed their good ol' grubbin' Bullfrog Cajun joint into The Bulldog Downtown, which serves the Chi comfort food you'd expect at a 'Dog. 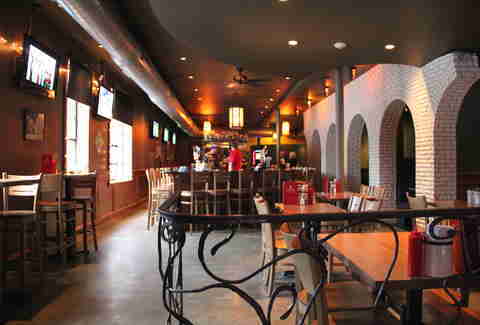 The tropical-y orange walls were washed vastly darker, the seating's been opened for more standing room, and they've added Dark Age-looking lanterns, the better to see the burgers you're about to go medieval on. 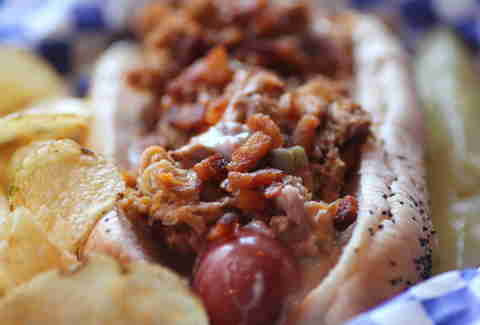 Say goodbye to crawfish and gator sausage and say hello to The Oinker, a hot dog topped with pulled pork, bacon, and molten cheese. Continue saying both hello and goodbye to your cardiologist during regular visits. 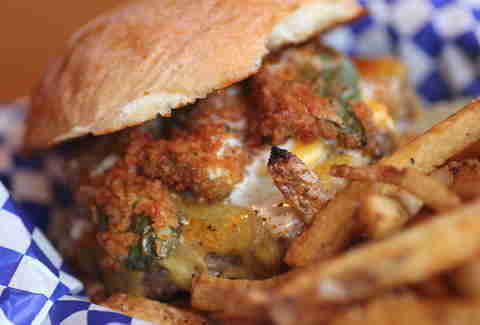 The cream cheese jalapeno popper, cheddar, and sour cream-topped Popper Burger; named after that Blues Traveler fatty, probably. 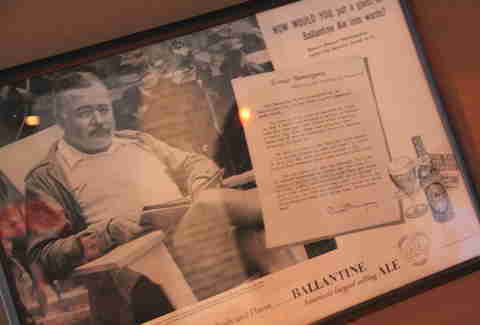 America's greatest writer did an ad for a now-defunct beer! 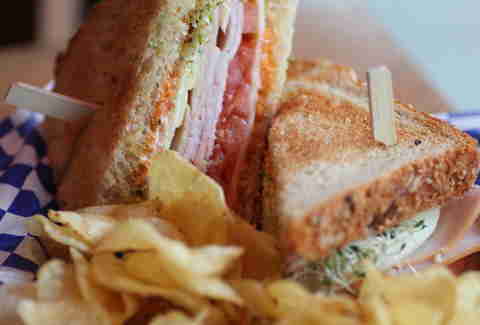 The Turkey and Avocado: as effectively sparse as Hemmingway's prose. 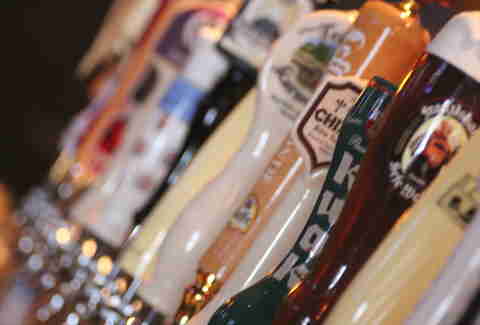 Don't let this scare you, they also serve 24 better taps. 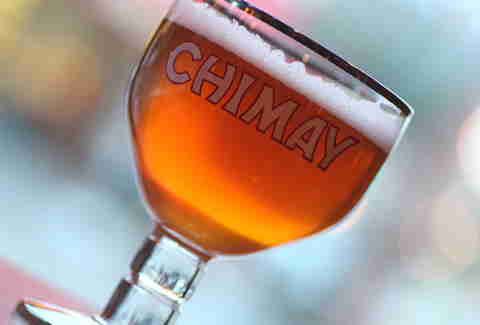 Glorious-looking Chimay will whet your appetite for Belgian. 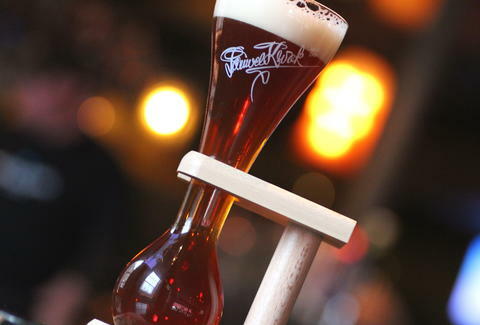 nd then there's 11 more Belg-ish brews to try, just in case you also want your inhibitions to take a dip.